Writing jobs are gaining momentum. Other than the traditional jobs that included being a novelist or a journalist, today the scope is much more. Let us see what the different types of writing jobs are in market today, their demand world-wide and the countries that are highly hiring writing professionals. Copywriters write for the purpose of marketing or advertising. Also commonly called as commercial writers, they develop content for websites, articles and books and edit them for sales purpose. Copywriting is a lucrative career and many companies look for writers that help them in increasing their sales. A professional writer who engages in technical writing in order to produce a technical document is basically a technical writer. Technical writing includes writing directional manuals, creating software manuals or revising manuals. One can write for any particular industry. These can be full time or part time jobs. On an average the annual pay of a technical writer is about $63000 and they have an hourly rate of $150. Magazines like the National Geographic and Earth magazines that cover a lot of topics related to science, look readily for science journalists. Science journalists are different from newspaper journalists as they have an expertise in a particular subject and can deliver the best in that field. The specialized knowledge gives them a bright potential and a high pay. Among the top 20 work from home positions, a writer is at number one. It is one of the ways where a writer can comfortably earn a good amount of money by working from home. The writers can find themselves jobs like writing for magazines, for some websites, proof reading and editing the content. · Thirdly, there is a personal benefit attached to it. People who communicate effectively make more business and tend to grow at a faster rate. Therefore business writing is one of the most important tool by which an organization can build a brand and generate good business. Organizations all over the world look for effective business writers who can create a positive impact of their company in the market. Why choose writing as a career? Choosing writing as a profession is not only interesting but also challenging. It brings a new challenge every day to create something that increases business effectively and brings a new dimension. The role of a writer lets you grow professionally with endless opportunities to learn and do something new. Being a writer you get to work for different products, domains, tools and technologies. There are various areas to choose from in order to avoid monotony. 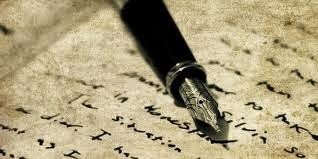 Added advantage of being a writer is that there is no specific qualification to become a writer. It’s the creativity that takes you to the next step. Writing as a profession has a lot of scope. Every organization looks for people who can write well in order to sell their or make a brand image or document an important procedure. A writer can explore various areas like creative writing, fiction writing, SEO web content writing, editing, proofreading and blogging. Apart from mainstream journalism, that has always been in the limelight of writing jobs, the above mentioned writing jobs are becoming popular all around the world. In India, e-commerce industries look for good content writers in order to increase the traffic and business for their websites. There are many ways by which companies can increase the rate of return on content marketing. So now when you know the different options of writing, their growing demand and world-wide presence, choose a profession that makes you happy in regards of interest and money both.